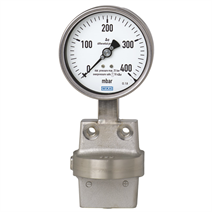 These differential pressure gauges are made of highly corrosion-resistant stainless steel and feature an all-metal, all-welded media chamber to ensure long-term leak tightness (no elastomer sealing elements). A high overpressure safety is achieved by the all-metal construction and the close-fitting design of the pressure measuring diaphragm. 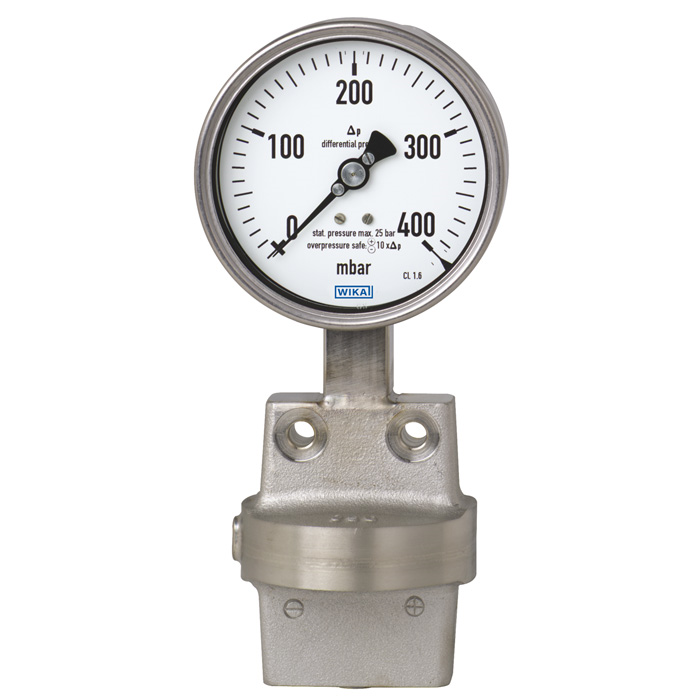 With its high-grade stainless steel construction and robust design this pressure gauge is geared to chemical and process engineering applications. It is suitable for gaseous or liquid media, also in aggressive ambience. The optionally available low-temperature version allows the use for temperatures of down to -70 °C (-94 °F). The scale ranges of 0 ... 16 mbar to 0 ... 25 bar are available to meet the requirements of a wide variety of applications.